What are some apple cider vinegar benefits? First of all, apple cider vinegar can be seen as a remedy and supplement, not simply a food or something you might use for salad dressing (though that's a perfectly good and healthy use for it!). This is a natural food that comes from the fermentation of apple juice. It's actually the result of fermentation beyond what you'd do to create hard apple cider. So, the benefits of apple cider vinegar can be partly attributed to apples, and partly to the unique product created be the fermentation process. In modern times, the medicinal uses for apple cider vinegar were probably best publicized by D.C. Jarvis a Vermont doctor who became familiar with the use of this product as a folk remedy. Used on animals as well as humans, Jarvis found that it could cure or prevent many common ailments, from colds and viruses to arthritis and digestive problems. More recently it has become a component of some natural diets, aiding in the weight loss process. Apple cider vinegar can be seen as a "superfood," something that is good for the body as a whole. Skeptic will sometimes see this as reason for suspicion -how can one food or medicine be good for everything? But if we look at the body holistically, this is not so mysterious. If something has a beneficial effect on the immune system, for example, this will make it an excellent preventative for any number of ailments. - Helps reduce symptoms of arthritis and other muscle and joint ailments. At the same time, we should not think of apple cider vinegar -or anything else- as a cure-all. No food or supplement can make up for eating a poor diet or lack of exercise over a long period of time. However, when combined with a healthy lifestyle, this product can help you feel better, lose weight, and possibly be less susceptible to many common health problems. How should you take apple cider vinegar? There are several options. You can use it as a food, making salad dressings for example. You can take it straight out of the bottle, several tablespoons per day for example. If you find it too hard to take straight, it can be diluted with water. Some people simply dislike the taste of vinegar and would prefer not to taste it at all. If you fall into this category but would still like to enjoy its benefits, you can find supplements in capsule form that you can swallow. 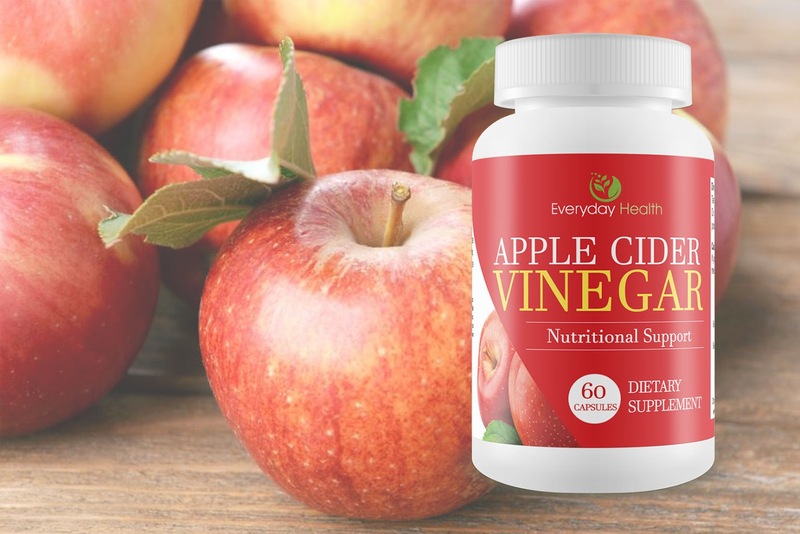 Fortunately, this is not a terribly rare or expensive item, so you can try it and start to experience apple cider vinegar benefits for yourself. The New Way to take Apple Cider Vinegar is Here! Order now your ACV Pills and Get Deliver to your door tomorrow!